Without much noise, India’s 65-year-old habit of five-year planning will cease on March 31. This is the last day of the 12th Five Year Plan of India. Every fifth year, with a few exceptions of plan holidays, used to be like a much-awaited national event. Our parents always looked at the sector priority. “Good time for agriculture and education.” Many old timers, gathered around a Morphy Richards transistor in a library, would react to the approval of the five-year plan, as a grave voice of the newsreader would inform about allocations. In colleges, the economics professors would read out the new priorities to students and often, shyly, hint at lucrative academic opportunities and new subjects for applying for scholarships. Farmers and daily wage labourers would, as usual, ignore the declaration, except for faking an attentive audience with the contractors or landowners trying to impress them with their knowledge of the country’s growth based on the new plan data. For me as a journalist, the Yojana Bhawan, the office of the erstwhile Planning Commission, was the most sought-after address. It was not just to report on a new plan, but the span of five years gave ample opportunities to dig out stories in news-lean periods. As a ritual, we would troop to the office at the end of the first year of a plan to be herded out by members with a warning: “We have not even dispatched the plan documents to all.” By the time the new plan reflected in state budgets, it would be time for a mid-term evaluation. And, time for writing stories on how the plan has, or has not, performed. 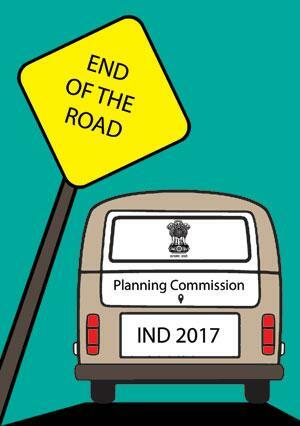 Bureaucrats like N C Saxena and Sudha Pillai, both former member secretaries of the Planning Commission, were on speed dials. By the fourth year, the massive preparation for the next plan would start, thus, providing another round of exciting news hunting. Not going into the details of whether planned development did any good or harm to India, the five-year plans were always good experiences. First, by the late 1990s India was one of the very few countries in the world to have such strategies. There would always be debate over why a fast liberalising economy in a dominantly capitalist world adopted the strategy of yore. Secondly, and most importantly, the planning procedures had become very interesting in the last 15 years. There was serious effort to involve civil society groups and independent experts in numerous steering-, working- and sub-groups to probe in details relevant aspect of the economy. The 12th Five Year Plan involved 1,000 such groups and experts who brought out reports written in over 10,000 pages. For researchers and journalists, these reports are great reference documents, reflecting multiple voices and perspectives. Each document would have precious data that could be used anytime to quickly analyse an emerging development. Sometimes, browsing through these documents would reveal big changes in India’s economy and development landscape. For example, one of these documents first reported that the livestock economy of the country is bigger than the foodgrain economy. This is no mean development and in the rush to put together such reports the expert members forgot to inform the world outside. But the fact that somebody read such reports and reported can be an ode to this planning exercise, which otherwise was treated as “unemployed experts’ talking shops”. To end with a personal note, in February 2016, in an interview, Bibek Debroy, the member of the NITI Aayog that replaced the Planning Commission, casually said: “We will have a vision document.” This was in response to a question: “When will you start the next five-year plan?” Next day, Down To Earth declared to the world the imminent demise of an era of planned development. Is the government going to scrap the 12th Five Year Plan? It is interesting to know that it were taking a year to send five year plan document .... such a waste of public money .... I doubt that the five year planning and it's priorities made rural economy as a main victim.